Ever have ‘One of Those Days’? 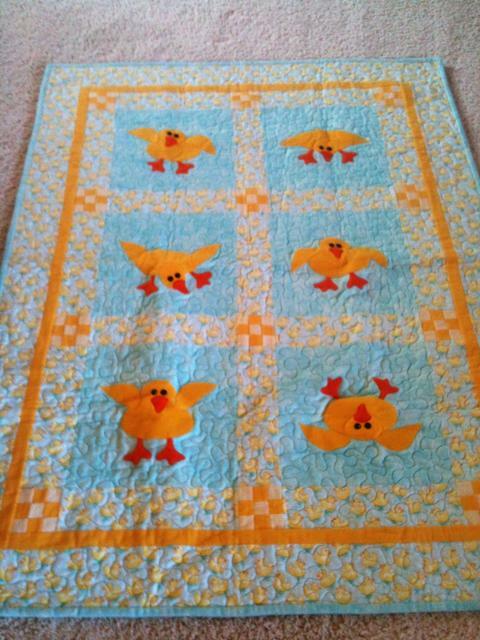 Then this Going Crackers quilt is for you! You can get all of your ducks in a row *or not* and give each duck some serious personality/attitude. This quilt is sure to make you smile while you are working on it and will be a fun treasure for the lucky-ducky recipient. This quilt features basic sewing skills and some machine applique, along with an easy lesson on faux-piping binding. Sashings and borders 2 yds. 9 patches 1/8 yd each of 2 colors. Small black buttons for eyes.